Jewelrista –A must for all Jewelry Enthusiasts! In United States alone there are 32,000 retailers that specialize in selling jewelry. When looking for one piece that jumps out at you it can be difficult to choose where to start. 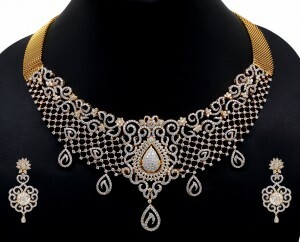 Jewelrista is a place where the world of jewelry is not confusing. It’s a one stop place where people can stop off and find out all they need to know about the stars favorite jewelry designers and how to accessorize. What can I find on Jewelrista? Everything from one off pieces from famous designers to new up and coming designers who want to get their name out there can be found on there. There are constantly updates and advice for people who want to learn how to accessorize, the meaning of certain gemstones to name but a few. Because there are so many people who use this site to find a piece that calls their name, they also feature a Jewelry Directory which is a great way for new designers and establishments to get noticed. Those wanting to get their business on the directory can be individuals, new or well established companies or those selling from a website. Jewelry makers or those who would like to be can brush up on their skills by finding one of the excellent jewelry design schools in their area and find out exactly what they have to offer through the jewelry directory. This could take hours off the search and help to narrow down the decision once a few are shortlisted. The world of jewelry and searching for new pieces was once a foreign territory for many, but rather than going through magazine after magazine looking for what the stars are accessorizing with this season, use Jewlrista. Just one site for every jewelry need a person could ever want!